The thyroid is one of the most delicate glands in the endocrine system. It is important to ensure that you retain optimal thyroid health throughout your life. In particular, if you have experienced any sort of thyroid issue you need to maintain up-to-date blood testing to keep an eye on your hormone levels. 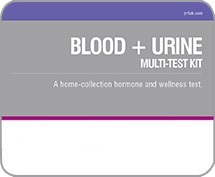 Our at-home testing kits can help you. Thyroid function can be affected by many factors, including nutritional deficiencies and environmental exposure to certain elements. This profile is designed to help evaluate elemental exposure and thyroid hormone synthesis. 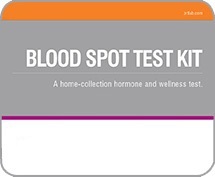 The tests included in this profile measure iodine, bromine, selenium, arsenic, and creatinine in dried urine, and total T4, thyroglobulin, TSH, free T3, free T4, and thyroid peroxidase antibody (TPO) in a blood spot. Analyzing the elements in your body can provide insight into why you may not synthesize or convert thyroid hormones appropriately and can help you determine the cause of any thyroid-related symptoms. The thyroid gland regulates cellular energy metabolism, controls the heart rate, and regulates protein synthesis to ensure proper growth and development. 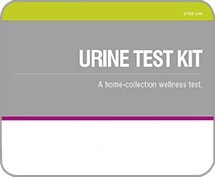 The AAI Clinics Elements Profile measures iodine, bromine, selenium, arsenic, and creatinine levels in dried urine. This kit provides an overall assessment of thyroid function. It is a blood spot test that measures free thyroxine (fT4), free triiodothyronine (fT3), thyroid stimulating hormone (TSH), and thyroid peroxidase antibody (TPO) levels. Thyroxine is the main hormone produced by the thyroid gland. The fT4 kit measures the levels of bioavailable T4, which is a good indicator of thyroid output. It is a blood spot test. This kit measures the levels of bioavailable or free (f) T3, which is the active thyroid hormone. Free T3 levels (fT3) must remain within the optimal range to keep the body functioning properly and maintain physical and mental health. It is a blood spot test. This kit detects iodine deficiency, which is a potential cause of a range of health problems such as fatigue, “brain fog”, hypothyroidism, and fibrocystic breasts. It is a dried urine test. Mercury reduces the biological availability of selenium and may inhibit the formation of selenium-dependent enzymes. It affects thyroid function in the same way as selenium deficiency or arsenic exposure. Most human exposure is through dental amalgams, seafood, and vaccinations. It is a dried urine test. Elevated TPO levels are indicative of an auto-immune thyroid disease known as Hashimoto’s or autoimmune thyroiditis. It is a blood spot test. This kit measures the brain’s response to circulating levels of thyroid hormones (T4 and T3), which is a general indicator of thyroid activity. It is a blood spot test. Thyroxine (T4) is the main hormone produced by the thyroid gland. Total T4 levels indicate the overall T4 output by the thyroid gland. It is a blood spot test.